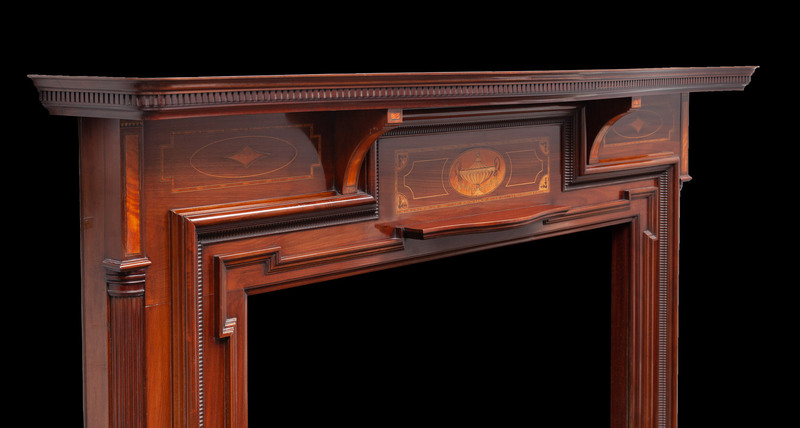 Produced in a richly coloured Mahogany and inlaid with various brightly coloured satinwood and fruit-wood veneers. 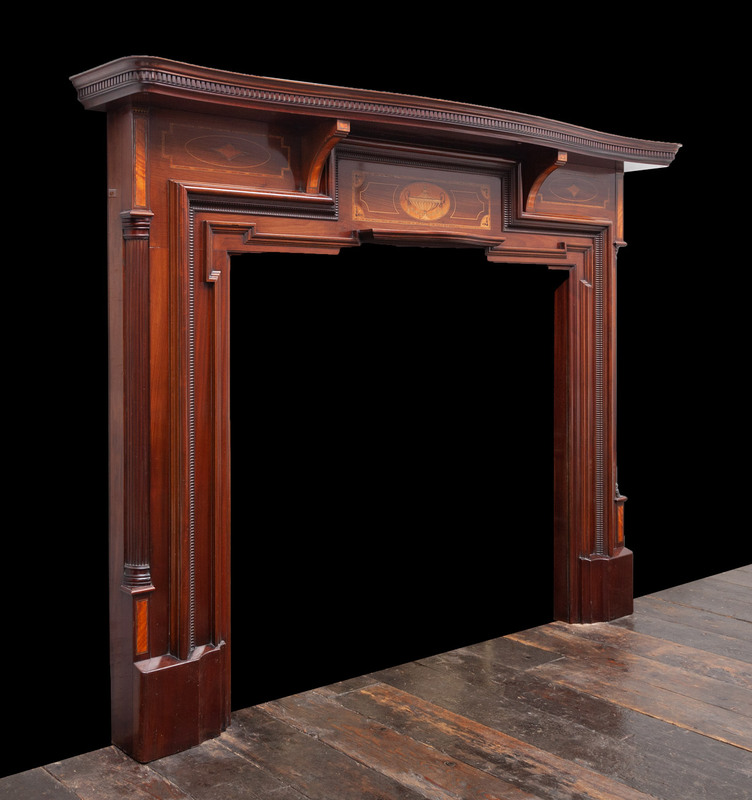 This fireplace is extremely well made, it features very fine inlays and precisely carved mouldings. 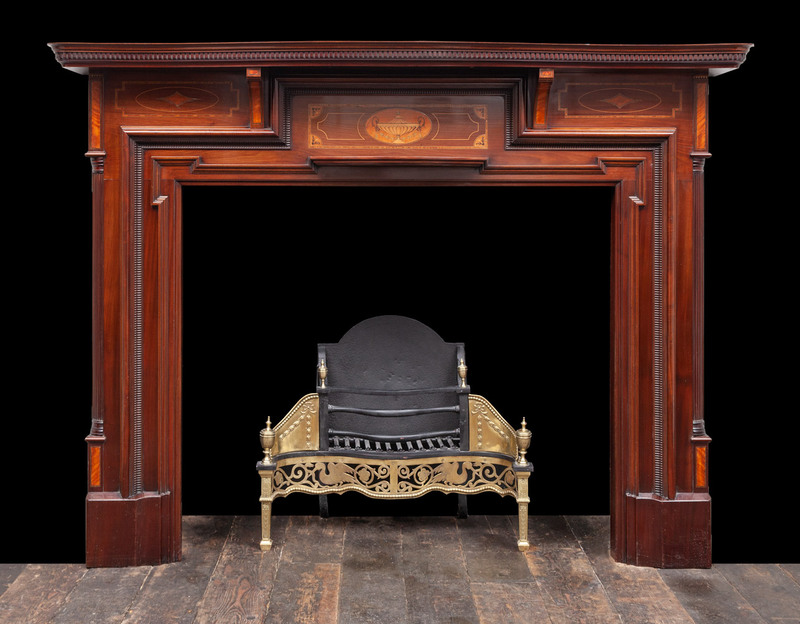 The condition is excellent, retaining its original French polish.